once addicted to this u wont stop!! butter paper or greased foil. Wash the strawberries, dry and keep aside. Dice the chocolate, put all in a vessel and indirectly heat over steam from another vessel. Once smooth, remove from steam. Hold the strawberry form the stalk, dip in the hot chocolate, then hold upright till covered. 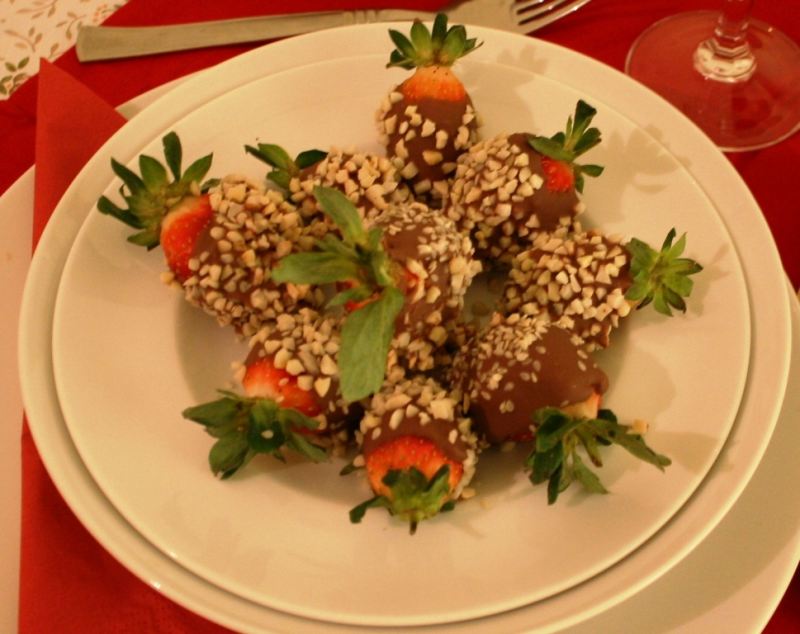 Now roll the chocolate dipped berry over the diced almonds. Place on the butter paper/ foil and refridgerate for 10 min, till the chocolate is hard. once all done , serve !